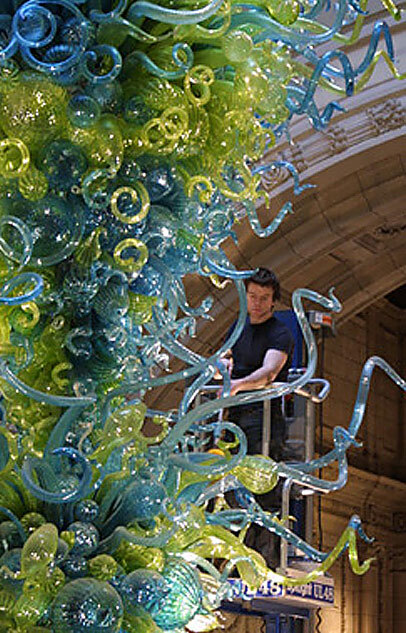 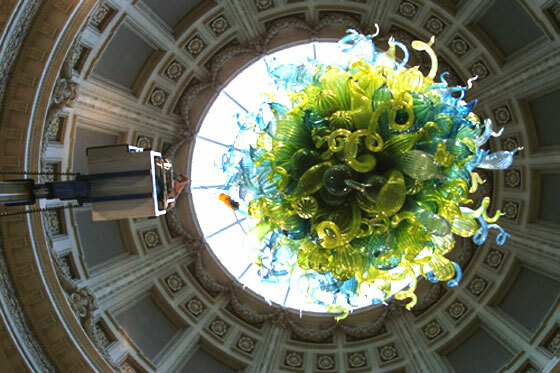 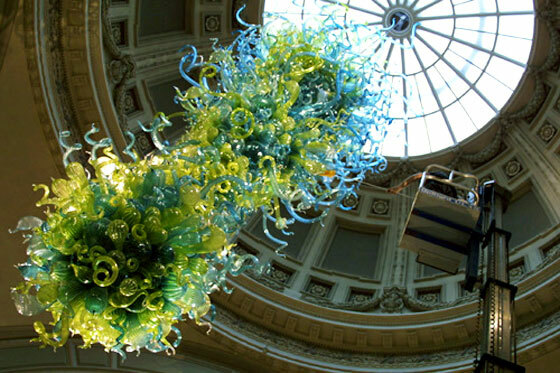 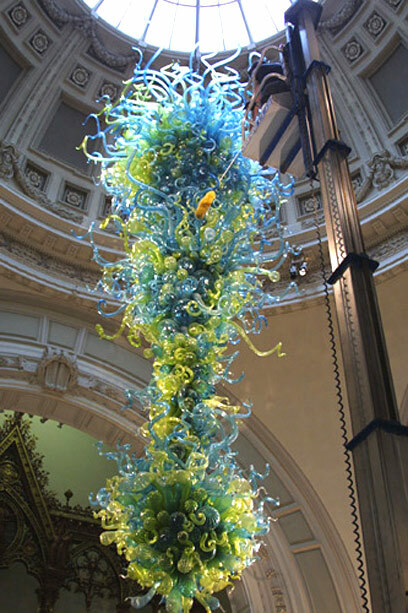 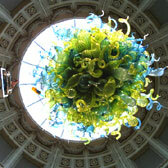 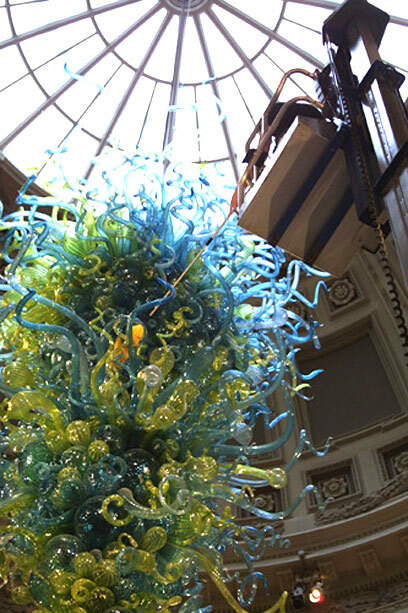 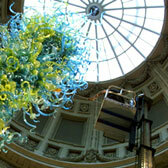 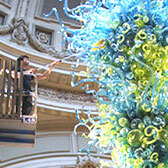 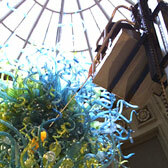 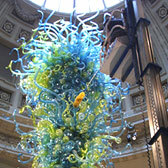 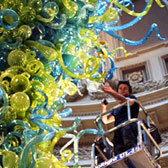 Chihuly's enormous glass Chandelier under the dome of the main entrance presents an interesting cleaning problem. 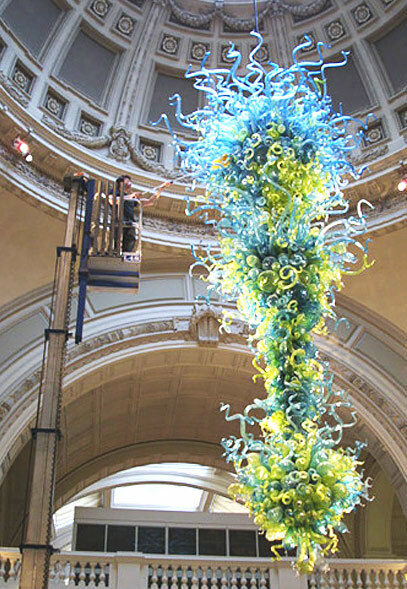 The Chandelier is fixed in position so it is necessary for a heroic member of the Museum's technical staff to brave the heights on a 'Powerscope' - a type of raising platform. 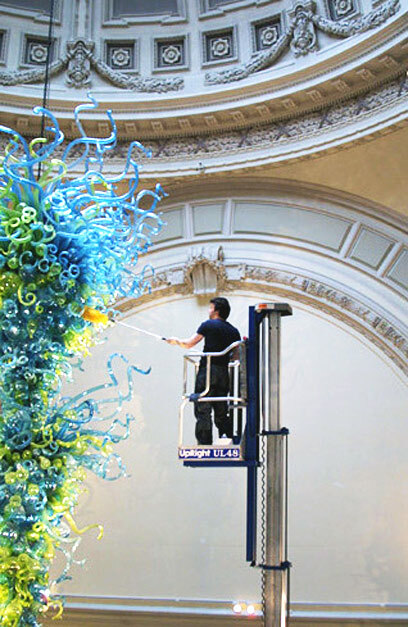 The job requires time, skill and nerve. 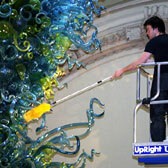 The cleaner must move the raising platform around the Chandelier and do one section at a time, starting at the top and lowering the platform gradually. 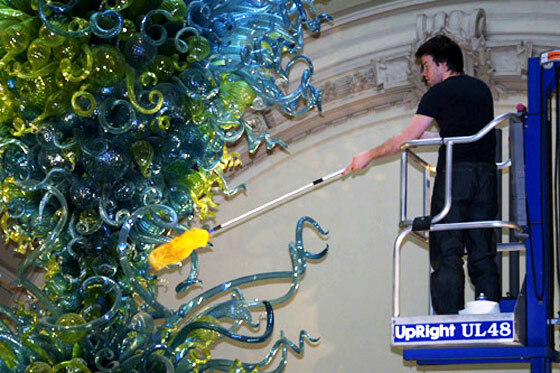 An essential piece of equipment is an anti-static wand with plastic filaments which is sprayed with cleaner and literally poked in and around the glass. 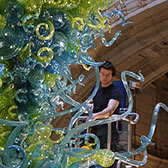 The technician works from top to bottom and side to side. 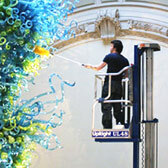 Cleaning may shuffle the glass but these components do settle back into place. 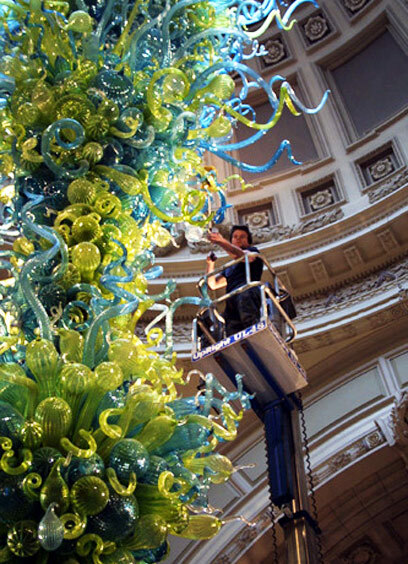 Cleaning is done before opening hours and now that the new (2001) Chandelier is twice the size of the original (1999) Chandelier the job is now done over several mornings.